Let’s cut the ribbon and celebrate the future of Downtown Brainerd! 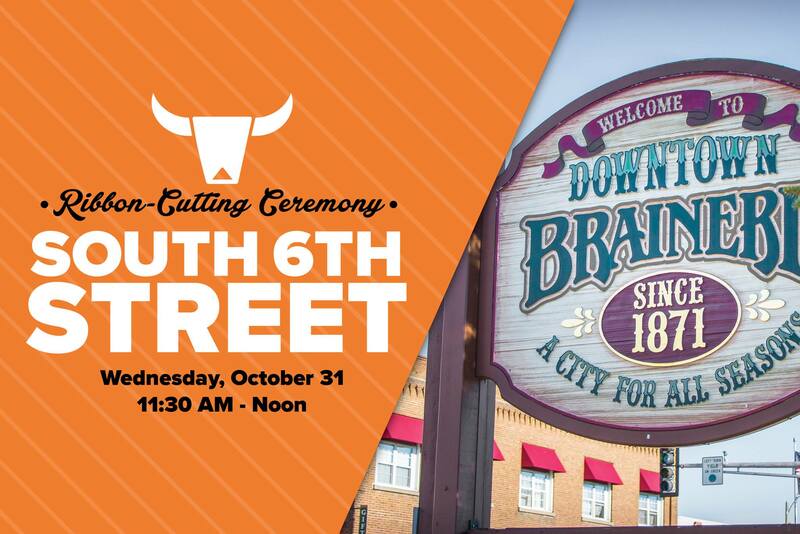 Please join us for a special ribbon-cutting ceremony for South 6th Street in Brainerd! The $5.7 million road construction project is nearly complete, which will usher in a flow of commerce and a renewed energy for Downtown Brainerd. Featured speakers will include Minnesota Department of Transportation Commission Charlie Zelle and area legislative leaders. All attendees are encouraged to patronize downtown restaurants and businesses after the event. See you there!